The TD-8S and TD-9S are powered by QSF 3.8 Tier IV Final turbo-charged Cummins engines delivering 94 and 113 hp, respectively. LiuGong North America, a wholly owned subsidiary of LiuGong Machinery based in Liuzhou, China, has introduced its new Dressta TD-8S and TD-9S dozers to the North American market. Launched in the United States and Canada markets in 2016, the TD-8S and TD-9S are powered by QSF 3.8 Tier IV Final turbo-charged Cummins engines delivering 94 and 113 hp, respectively. 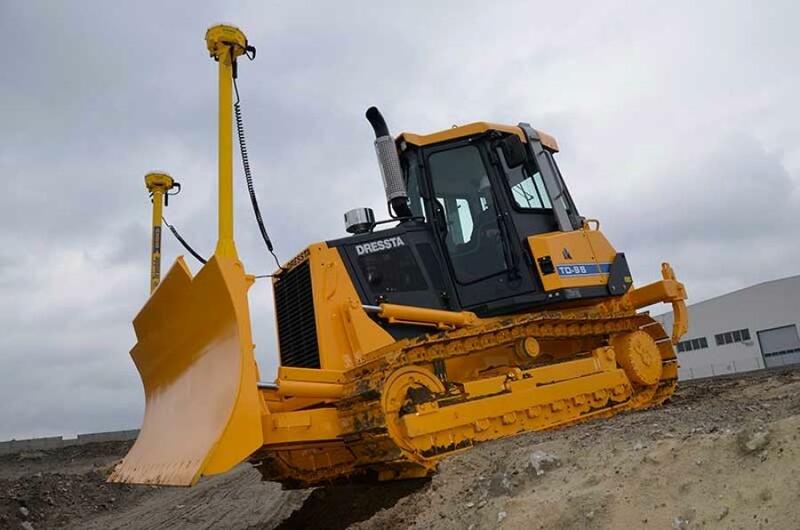 Both dozers are equipped with Rexroth dual path hydrostatic drive systems that transmit full power to both tracks in all conditions for smooth speed changes, pivot turns and counter rotation. The machines feature a strong, six-way C-frame complemented by a robust undercarriage available in two options — the standard LT (long-track) version for better stability during driving and leveling, and the LGP (low ground pressure) version for use in swampy or muddy terrain. The S-Series dozers are available with integrated technology options of Trimble Basic and Trimble Ready 3D control systems. For more information, visit www.dressta.com/en_GB or www.liugongna.com.